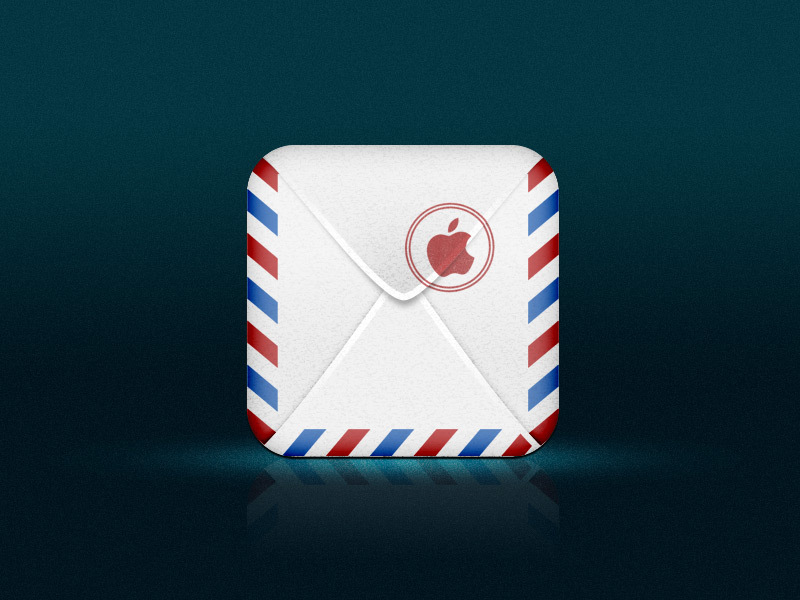 My first real iOS Icon Design came in the form of the Mail App Icon. I designed it in July 2011 to get into Icon Design and it came by inspiration of other Mail Icon Designs, and have always been fascinated with the use of texture on Icons, as well as using certain layer styling to make it crisp and clean at the same time. I was always fascinated with the border around air mail envelopes, its use is striking and it’s always something I wanted to try, and I wanted to add a sense of texture so that it appeals to the eye more. I also made use of blending modes to achieve this; a lot of the texture and the use of shadows as well as highlights is very subtle but can be in plain sight, making it visually apealling. The thing I like a lot on this design is the use of the Apple Logo as a mail stamp, as to signify what brand the app is under as well as adding a different style to the Apple logo in this context, rather than the typical glossy, shiny Apple logo. I actually had fun making this.